Government officials have said that Rio de Janeiro’s integration is a learning process, and this was very apparent in yesterday’s occupation of Rocinha, Vidigal and Chácara do Céu favelas. 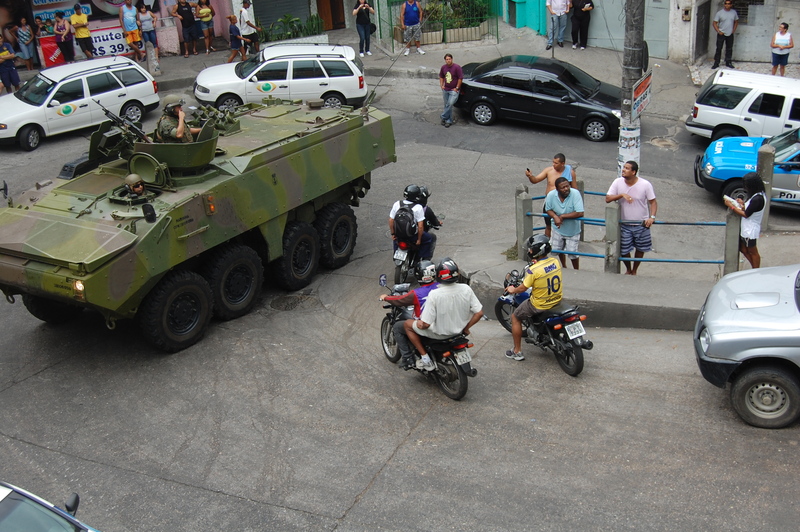 Planning began four months ago according to O Globo newspaper, when state officials met with President Dilma Rousseff to extend the Army’s continued presence in the Alemão and Penha complexes, occupied for almost a year now. This freed up manpower and other resources for what will soon become Rio’s 19th pacified region. 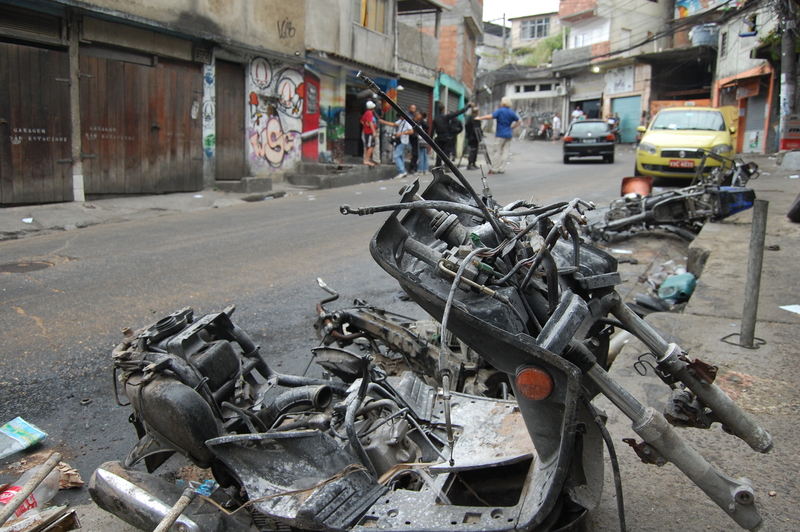 Almost two weeks ago, the Civil Police swept surrounding areas and Rocinha itself, coming up with pirated merchandise and weapons (including anti-aircraft rockets! ), and making twelve arrests. The action signaled that druglord Nem and his minions’ time was up; notably, he gave an interview Nov.4 to Época magazine (translated here, at the foot of yesterday’s post) before playing what may be his last soccer game for a long time. Found in the trunk of a diplomatic-plated car near the Lagoa last Thursday, he’s now in jail in Bangu, having laid some treacherous groundwork for himself by claiming to have paid half his proceeds every month to police. He’s said to have brought in over US$ 59 million equivalent, a year. Since the day of Nem’s arrest, the Highway Police have been working roadblocks on routes leading out of the city, looking for fleeing drug traffickers. And the military police carried out operations, according to O Globo, in the North and West Zones, plus Niterói and Macaé, to impede criminal movement. These led to 37 arrests, eight deaths and the detainment of seven minors. Now, the elite squad is sweeping homes, forests and brush, finding weapons and drugs. 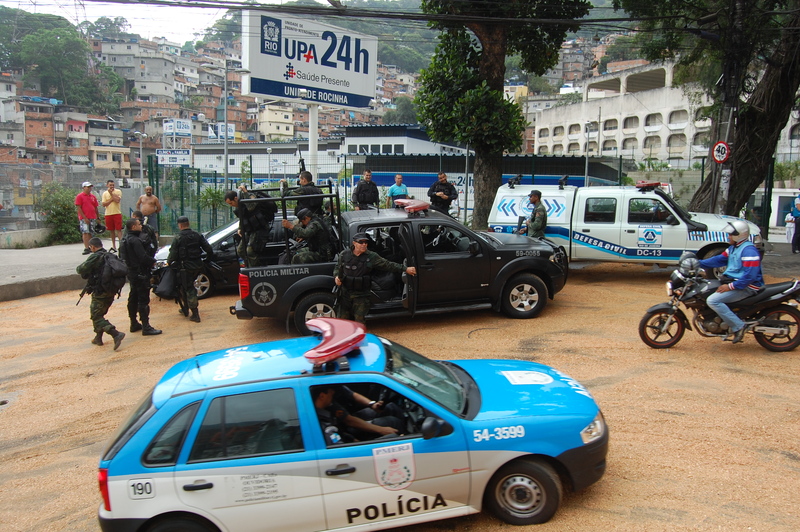 According to O Globo, the Rocinha-Vidigal operation was a pioneering concerted effort among the Federal Police, Civil Police, the Military Police (and its elite squad division), and the Highway Police. Civil Police weren’t present during the invasion per se; responsible above all for intelligence work, this unit reportedly argued with Federal and Military police over who would bring Nem in, last week. It thus seems that police integration– long a stumbling block to urban safety– is a work in progress, too. Corruption is also being targeted in a new police academy curriculum, but the problem extends all the way to the top of Brazilian government. More effective models and thorough housecleaning would certainly aid Rio’s urban integration efforts. Public defenders and human rights activists were also present during the occupation. If the media, police and government officials give equal treatment to other, less visible and emblematic favelas, this bodes well for the North Zone’s Complexo da Maré, cited as next on the list for occupation and pacification. Would-be preparatory elite squad action there in the last month resulted in loud and angry citizen complaints. 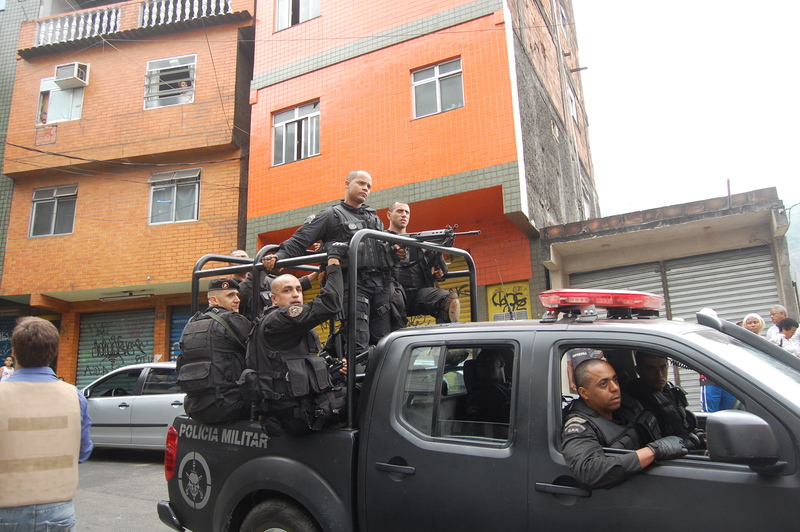 The shared territory of several drug and paramilitary gangs, the Maré complex of favelas is supposed to house the elite squad BOPE headquarters by year-end. Rocinha is Rio de Janeiro’s most affluent favela, and its occupation may signal the end of an era, as Brazilians begin to debate drug decriminalization and the economy grows, with the expansion of the middle class. In the Época interview, Nem– known to be a sophisticated businessman– said he believes that drugs will be freely traded in less than twenty years. 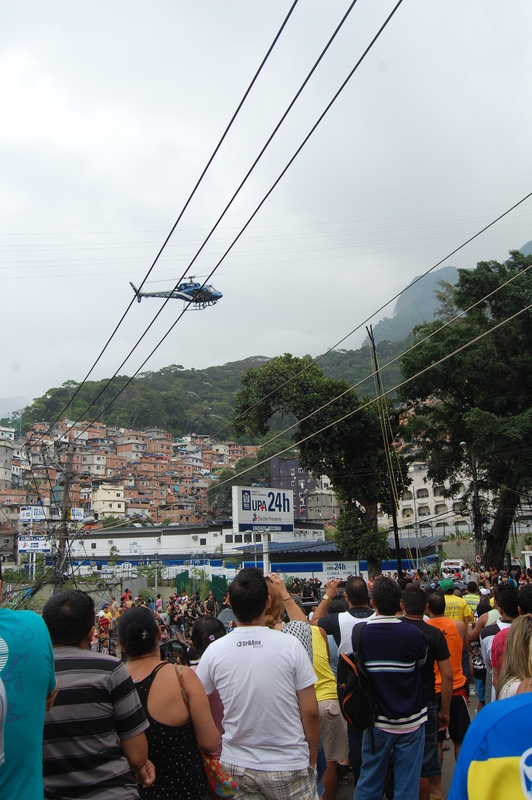 This entry was posted in Brazil, Transformation of Rio de Janeiro / Transformação do Rio de Janeiro and tagged BOPE, Complexo da Maré occupation, Complexo da Maré pacification, Complexo do Alemão, José Mariano Beltrame, military police, pacification Rio de Janeiro, Rio de Janeiro crime, Rio de Janeiro transformation, Rio police corruption, Rocinha occupation, Rocinha pacification, UPP. Bookmark the permalink.